The water used to produce Old Times products is crystal clear, pumped from underground springs. The water flows through the Quaternary sediments of the Zuberec and Biely Potok formations. The water travels a long way from the Belianske Tatra mountains to Lubovnianska Basin, enriched along the way with a unique mineral composition and filtered through the rocks that date from the Paleogene and Quaternary periods. This water, unique in its composition rich in Ca, Mg, Fe, gives our products their unique taste and originality. The idea behind this product line was the fact that this range of alcohols is the best-selling range in Slovakia. No distillery can omit this range of products, but we bring a higher value – our very own, premium quality alcohol, exceptional crystal clear water, timeless modern design - that is a guarantee of the quality of our products. The very name Old Times reflects the historic distilling tradition in the region. 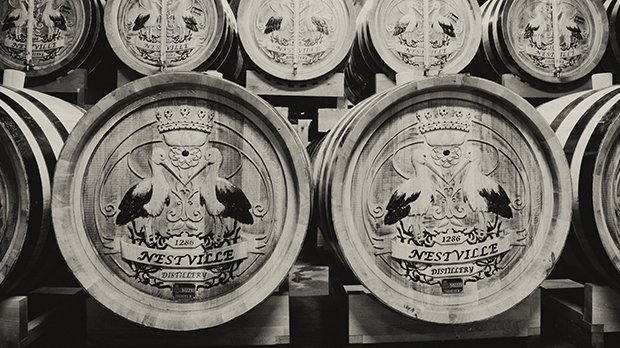 Old Times represents this message that the Nestville Distillery adopted, and we now follow in the traditions of spirits production in North Spis.